2017 Parks Half Marathon – NEW COURSE FOR 2017! Price Increase for the 2017 Run for Roses! Join Us for a Memorable & Annual Tradition – the Memorial Day 4 Miler! 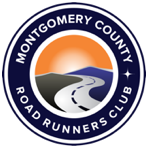 This Weekend – the Germantown 5 Miler! Dear members – The track at the college remains closed through this evening due to graduation. It should re-open for our permitted time next Tuesday. As always, if you are part of a training program, check with your director for an alternative plan. The track at the college is closed tonight due to graduation. There will be no track availability. Please plan for an alternative workout. If you are training with a program, please look to your program director/ Yahoo! group for further instructions. We will keep the club posted on the track availability for next week, upon confirmation from the college. Next up – La Milla de Mayo! Why Pay More?! Price Increases are Looming…. Next up – Capital for a Day 5K! Register TODAY for Kids on the Run! The track at Montgomery College is OPEN for our Tuesday and Wednesday workouts this week. Track Availability – TIME CHANGE! There will be no track availability this evening, Wednesday 3/15, due to the track being snow & ice covered. If you are part of a training program, please check with your program on an alternative workout location. There will be no track availability this evening, Tuesday 3/14, at either location, due to the closing of Montgomery County Schools and Montgomery College. No Track at RHS on Wed. 3/8!